Years later I found myself lecturing the boys about dos and don’ts when they wanted to go out and play with their band of friends. It happened every year — the lecture, the eager nods and then a sprint to the nearby park. I just hoped each year that they did not become those bobbing heads on the terrace. In fact, over the years I think somewhere I ended up accepting that on this one day of the year, they would not listen to what I tell them. And I deluded myself into believing that they would limit the balloon fight among themselves. But then one morning, I read an update from a friend on Facebook, “Please teach your children to respect other people’s space and wishes. Don’t let them loose in the city to throw water, balloons and colour just because ‘Bura na mano holi hai’. It’s about mutual consent, isn’t it? The understanding starts with little concepts.” And it hit me. I had never spoken to the boys about my experiences of the festival. The anxiety, the fear. I realised that I could not resign to the hooliganism that goes on in the name of the festival. I couldn’t assume that the boys would know better. We all cannot. We also cannot let ‘just one day’ slide. After all, it IS all about consent. When we let the children fling balloons on a man hurrying home or a woman walking down the street, we are telling them that it is acceptable to disrespect their personal space, and completely disregard their consent. This is a seemingly tiny thing, and would probably be laughed off by most people out there. To tell you the truth, quite a few people laughed it off then. Thankfully, the boys heard. They understood. People found the idea of putting colour forcibly being a violation of someone’s space extreme. But then tomorrow, these very children could grow up to be adults who do not think twice before violating someone’s physical space or bodies for that matter. Sounds harsh? For once, stop thinking about the little minions running around the house with a bucket full of balloons as harmless apples of your eye. Think of them as people who are constantly learning the ways of the world. Can you truly expect them to learn the meaning of consent overnight? Is the concept of consent only relevant to sexual overtures? Also, are we not telling them that the victim’s protests are insignificant since everything goes in the name of a festival? Today it is Holi. Tomorrow it could be a party. Can we be absolutely sure that by looking the other way today, we are not teaching them that the idea of consent is overrated? 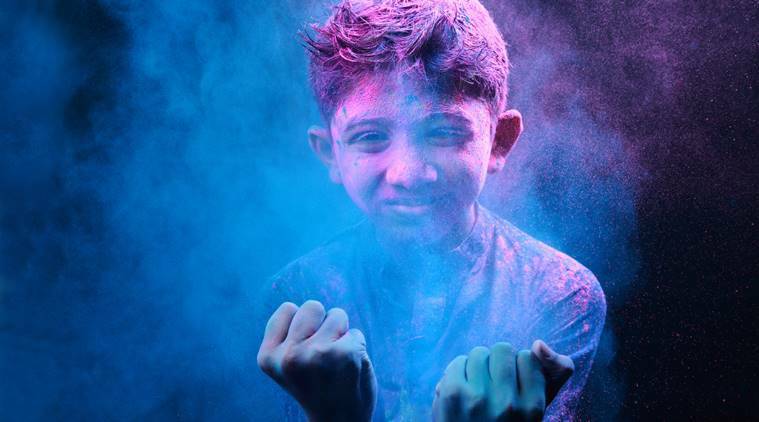 Even today, at the age of 43, I start getting nervous about walking out on the streets nearly a week before Holi. The memories from college time still haunt. The bunch of boys at the corner of the street would toss balloons and look at girls with “What can you do?” written all across their face. It was their assumed right. And if someone did protest, the reply always was, “Arrey? Bura na mano, holi hai.” They would jeer and rally around you. They would own that corner. Because they were men, because no one taught them the meaning of consent when they were growing up. As girls, we learnt to look at our feet and hurriedly walk home. We learnt to stay indoors. All because men never learnt the idea of consent. Telling the boys about consent in relation to the festival is not extreme. It is needed. The stories of women getting groped, girls getting assaulted and even extreme violations are not uncommon. They happen. Possibly because the whole idea of Holi was taken too far. Because the perpetrators were never taught the idea of consent and respect for personal space. Because for them, ‘NO’ did not matter. So this Holi, think about it. Is the festival incomplete without flinging colours, balloons or water on people who do not want to be a part of it? Or would it be as much fun to just limit ourselves to the people who want to look like a rainbow? Before you buy those balloons, at least give it a thought. How about a happy colourful, responsible Holi this time? Our children deserve to learn.